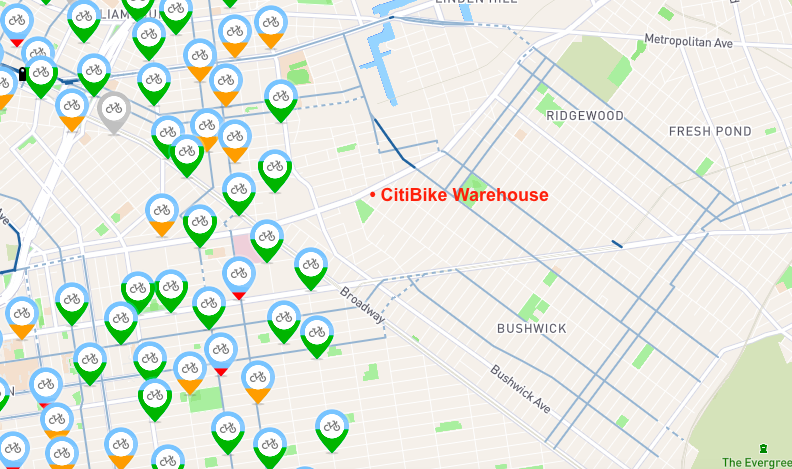 More Citi Bikes Are Coming To Bushwick, But Where? 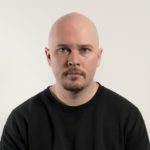 BUSHWICK – With the date for the L Train Shutdown announced by the city (April 27, 2019), it appears that the DOT is gearing up to expand Citi Bike coverage into Bushwick in the near future. 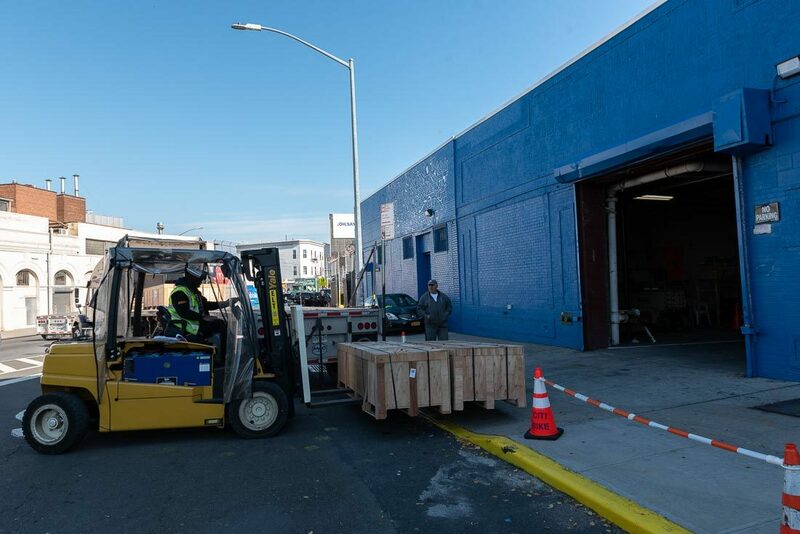 Yesterday, a forklift offloaded new bike docks from a semi truck into the Citi Bike warehouse on Flushing Avenue. The new “plates,” as workers referred to them, were boarded up in boxes for shipping, but numbered on the side up to at least seven. Inside the warehouse, rows on rows of new docks could be seen waiting in the semi-darkness. “DOT is actively working on providing Citi Bike services in Bushwick as part of our L train mitigation efforts,” said a DOT spokesperson this morning. Hopefully, the glut will translate into a serious bump in coverage for Bushwick and communities that rely on the L train as the closure approaches. 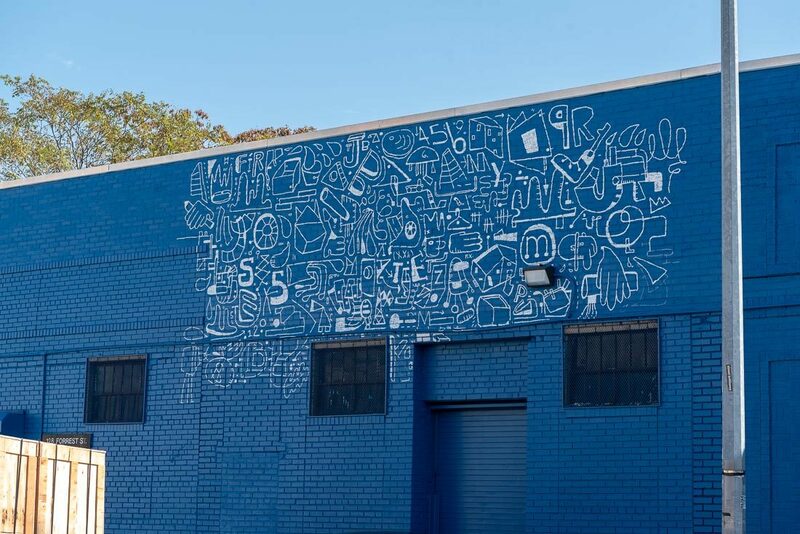 Another sign of new life at the warehouse, which sits past the edge of current Citi Bike coverage, is a new mural being painted by Brooklyn artist Katie Merz, who announced her project on Instagram this week. Merz is best known for her tempory mural on Flatbush Avenue, which will soon disappear—the fate of all street art—when Alloy’s 80 Flatbush project begins construction. Hopefully, the fresh coat of paint to at the warehouse is a sign of further investment in the area and more Citi Bikes to come for residents in neighborhoods deeper in Brooklyn. In addition to the expanded coverage area, additional pedal-assist electric Citi Bikes are being made available in Williamsburg to help commuters deal with the 15-month shutdown. Other companies, like the electric Bird Scooters, have been making inroads into Brooklyn communities, hoping to expand their brand of ride-sharing dockless transport into the boroughm, but none of them offer concrete solutions to the mobility problems imposed by the looming repair work. Meanwhile, Citi Bike benefits from a tried-and-true model that has been working in the city for years, even if coverage in Brooklyn has been limited. It seems the wheels of change are now turning and new bikes may be rolling into Bushwick and beyond by the time the L-pocalypse strikes.